Antibiotics are widely prescribed to control bacterial infections. 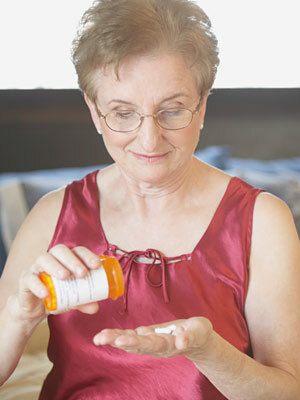 Sometimes they are given before a medical or dental procedure, to prevent a possible infection from occurring; this practice is called "antibiotic prophylaxis." In the recent past, physicians and dentists advised that people with certain medical conditions - including a number of heart problems and several types of bone or joint replacements - should always take antibiotics before many routine dental procedures. Today, their advice may be different. A growing body of evidence now indicates that far fewer patients need to take this preventive step than was previously thought. As a result, the guidelines for prescribing antibiotic prophylaxis have recently changed - and they may do so again in the future. Why are the recommendations changing - and what do you need to know about taking antibiotics before coming to the dental office? We all know that bacteria - both helpful and harmful types - thrive in many parts of the body, including the mouth. Whenever circumstances make it possible for these microorganisms to enter the bloodstream, there's a slight risk that a bacterial infection may develop. This could occur in many dental procedures - and it could also occur during routine activities like chewing, brushing and flossing. In most cases, the risk is so small that the chance of a having bad reaction to antibiotics (while rare) is far greater than the chance of developing an infection; therefore, antibiotics aren't routinely used. Some people, however, need to take extra precautions before having dental procedures. If you have been treated for some types of heart disease, or have had certain orthopedic procedures (including total joint replacement), we may advise taking antibiotics to protect against even a remote chance of infection. Recommendations are made on an individual basis, taking into account your medical history and a clinician's healthcare experience. There are other circumstances where taking prophylactic antibiotics would be a prudent step; there are also a number of situations where these medications might have been recommended in the past, but aren't currently required in all cases. For example, the presence of a benign heart murmur, a pacemaker or defibrillator, and certain heart diseases or congenital defects don't automatically mean that antibiotic prophylaxis will be needed. In recent years, reports of drug-resistant bacteria and harmful side effects from some medications have increased public awareness of the consequences of overusing antibiotics. Fortunately, new scientific research is helping healthcare professionals make better, evidence-based treatment decisions on antibiotic use. If you have questions about whether you should take antibiotics before dental procedure, don't hesitate to ask.